State leaders in Kosovo have organized an urgent meeting today to discuss some of the key developments in the country. The meeting was called by parliamentary speaker, Kadri Veseli and it also saw the participation of PM Ramush Haradinaj, deputy PM Fatmir Limaj and president Hashim Thaci. IBNA news agency learns that the meeting is discussing the platform of dialogue with Serbia, which will be presented to parliament tomorrow. Another important topic being discussed is the 100% tax hike on Serbian imports and the US’ request to suspend it. Let us recall that three months ago, government of Kosovo introduced a 100% tax hike on goods coming from Serbia and Bosnia and Herzegovina. The US and EU continues to put pressure on the institutions of Kosovo to suspend the tax. 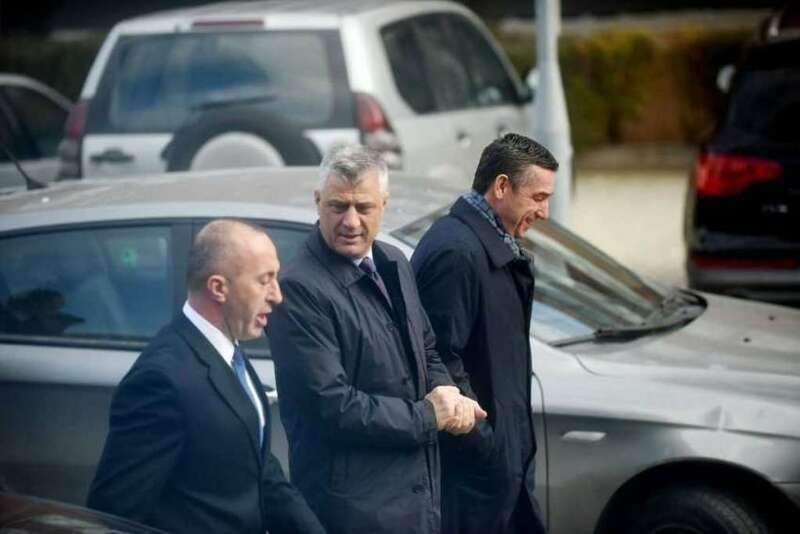 Up until now, PM Ramush Haradinaj has declared that the tax will not be lifted without a final deal with Serbia, which foresees mutual recognition between the two countries.